I grew up in Sunnyside, Washington, a town in the Yakima Valley that had a population of around 10,000 at the time I moved to Seattle; smaller than the student and the staff population of UW. I had dreamed of being a Husky since I was a preteen. My aunt and uncle were Huskies and we would walk through campus when I visited them during summers. I remember loving the buildings, the trees and overall lush surroundings of campus. I eventually made it to the UW, but differently than I had planned. I worked for almost a decade in UW’s College of Engineering before enrolling. One of the benefits of having worked on campus was I had a greater understanding of the different programs and student organizations the UW had to offer its students. I led Latina/o student organizations as an undergraduate and in law school and helped connect university and community leaders with students; it was infinitely rewarding to see the results. I was a teen parent and my son and I were college freshman at the same time. I also had a three-year-old who would sometimes come to class and play under the desk. UW students, faculty and professors were so welcoming and they encouraged me to continue pursuing my goals and apply for scholarships. They also appreciated the different perspectives and experiences I brought to the table. As an undergraduate, I made a promise to give back to this university that had given me more opportunities — as an employee and a student — than I’d never imagined possible as I was walking through campus with my aunt and uncle. Part of that is sharing my story as an example that it’s never too late to follow your dreams. 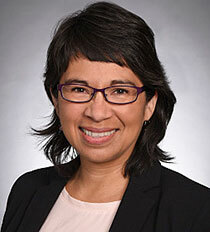 Martha Sandoval, ’04, ’07, is a partner in Perkins Coie LLP’s corporate and securities practice group. In her day-to-day practice, Martha advises pass-through entities, family businesses and closely held corporations on formation and governance matters, commercial contracts, and financings and other strategic transactions. She loves learning about innovation and trends in the food, beverage and beauty industries and feels fortunate to be building a practice working with consumer product companies. Prior to graduating from Foster School of Business and UW Law School, Martha was a staff member in the UW’s College of Engineering for almost a decade, with her last role as the Personnel Administrator for the Department of Electrical Engineering.